Today's guest blogger is Janet Flowers of Janet Flowers Wedding and Event Designs - a member of our PARTY FAVORITES PORTFOLIO. Fresh ideas, lush arrangements and attention to detail make Janet Flowers Wedding and Event Designs a standout in the floral industry. Feeling the chill this winter? Here are some ideas on how we brought a bit of winter chill inside. 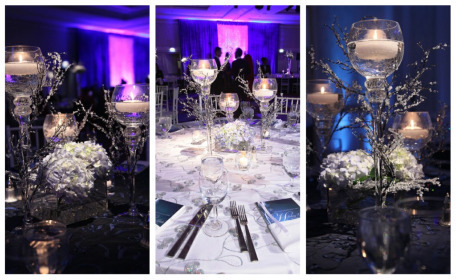 With elegant hydrangea blooms and shimmering accents made this party HOT. 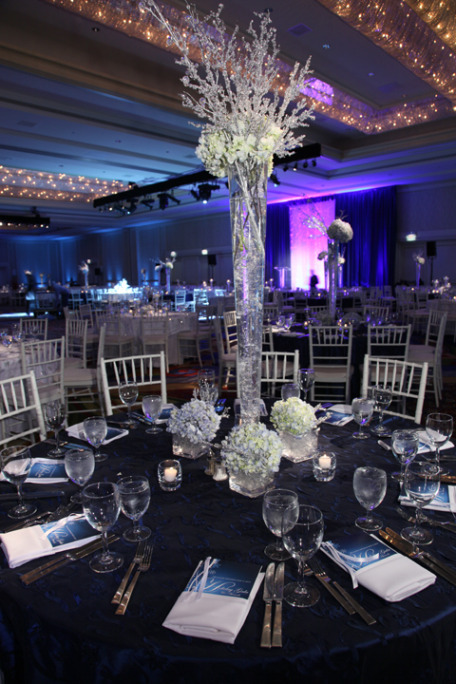 Click here for information about Janet Flowers Wedding and Event Design.